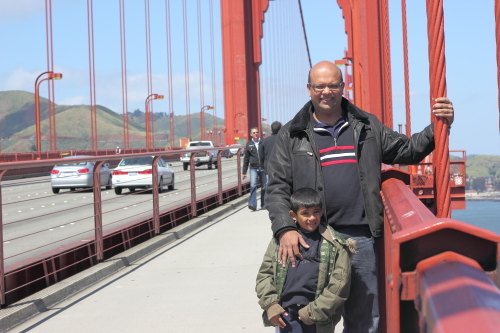 Kyan, Anya and myself reached San Francisco on Friday. Christina came to meet us at the airport. We went directly to the city center and spent the first night in a good hotel near the largest Chinatown in the world. 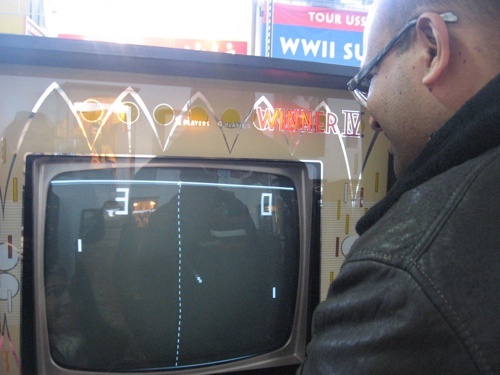 The next day, we woke up early and went to Union Square, took the Cable Car to Fisherman’s Wharf where we visited the Musée Mécanique, a small yet beautiful museum full of antique toys and games including the earliest video game, Pong. We slept at San Carlos at Alam’s place and, the next day, Nawaaz, his wife and two kids, came to pick us to show us how San Francisco looks like. 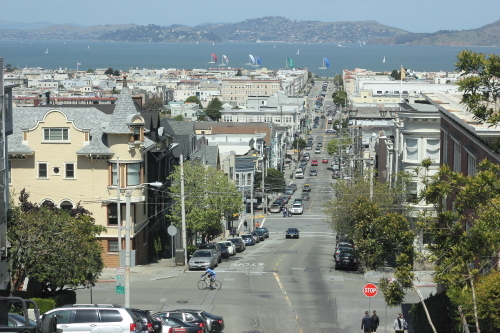 The streets of San Francisco look like, well, The Streets of San Francisco. and, after once again being rerouted by the GPS, reached the San Francisco Golden Gate. 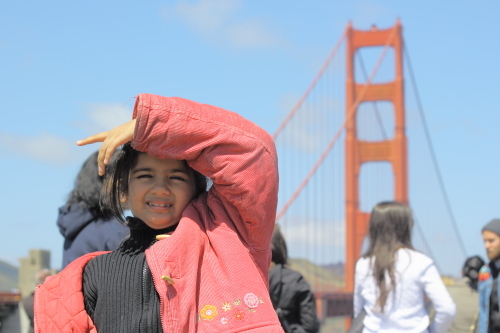 The Golden Gate is a magnificent bridge. We loved the colours as well as the feeling when walking on it. It’s a suspension bridge and, therefore, you feel all vibrations when cars pass by. 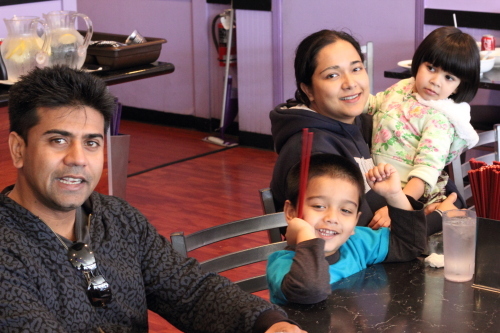 We had lunch in a very nice Thai restaurant with Nawaaz and his family. … until everyone got tired (including the oldies) and we called it a quit. San Francisco is really a great place to be! Really interesting ! thanks for sharing this with us. Leandro and both are nice too. BTW, did you notice my score in Pong? 3-0? 3-0 like Liverpool vs Manchester City yesterday! 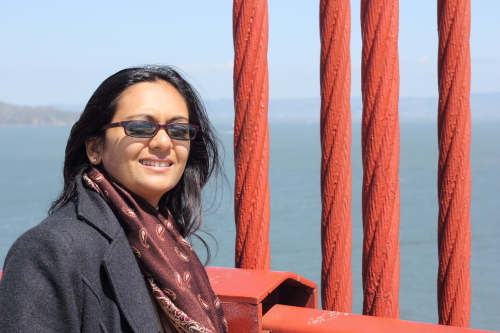 Glad you got good weather at the Golden Gate Bridge! We’ll try to do that this morning before leaving for LA at 1pm. I have been in Canada for a while now, and have yet to travel South of the border. Maybe I should. San Francisco is beautiful. Yes. San Francisco is a magnificent city.